Baptism is the first of the Sacraments of the Church and it is required before any other Sacrament can be received. Jesus began his own ministry with his Baptism, and as followers of Jesus we begin our ministry in the same way. Baptism is a new birth into the spiritual family of the children of God. We believe that God calls people into His Church, including infants, and that through Baptism we are adopted by God, and so belong to Christ, and that as children of God we inherit the kingdom of heaven. 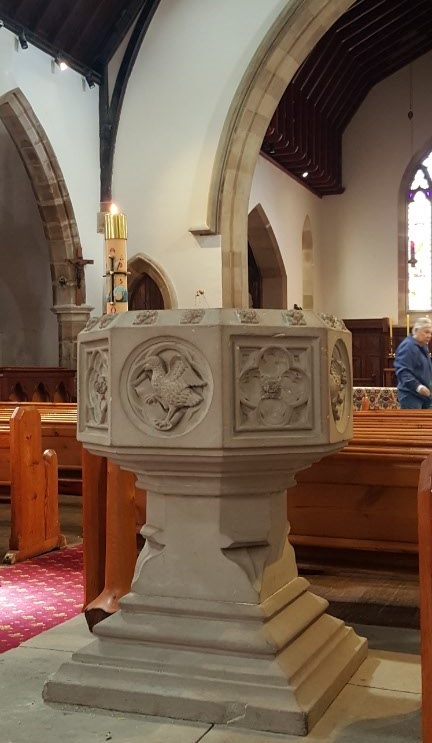 It is because of our adoption by God that it is usual only to be baptised once, and that to be in the name of the Father, Son and Holy Spirit. In the Anglican Church we baptise infants and adults. Infants have their promises made on their behalf by Parents and Godparents. Adults make the decision for themselves and are supported in this by sponsors. It is usual for the parents and Godparents of infants to meet with the Parish Priest to discuss the responsibilities of Baptism. Older children may be expected to prepare for the sacrament of Confirmation alongside their baptism. We welcome anyone who wishes to inquire about the Christian faith and the life of the church. If you have no history in the Christian religion, informal discussion can help you to explore the Christian faith and this may culminate in your baptism. This symbolic washing with water is the sacrament that signifies your acceptance of Jesus Christ as saviour and your entry into the church. 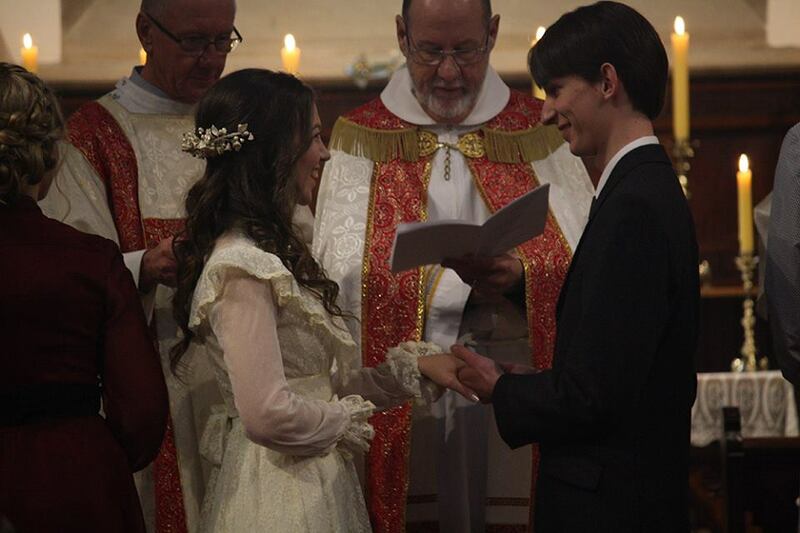 Marriage within the church is the joining together of two people that they may spend their lives together; sustaining one another in difficulty and in joy. 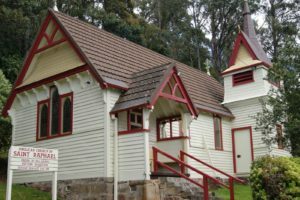 As one of the most historic and most beautiful churches in Hobart, All Saints would be delighted to welcome you and your partner, together with your families, friends and loved ones for this very special day. All Saints South Hobart has a reputation throughout Tasmania for the bea uty and solemnity of our liturgy and music, but we also appreciate the simplicity of a quiet, intimate service. Your wedding can be as simple as a beautiful stand-alone ceremony conducted only in the presence of witnesses, or as magnificent as a full Nuptial Mass complete with choir and full Anglican rites. Our beautiful altar, 150-year old sandstone interior magnificent stained-glass windows and beautiful gardens make a perfect backdrop for the ceremony and for your photographs. The Hawker centre behind the church, which opens onto the gardens, is a bright and intimate space with commercial kitchen that allows your entire celebration to take place on the one property. Our church comfortably seats up to 200 people, and we are ideally located at the end of the Southern outlet on Macquarrie Street. If you are looking for a more quaint location the beauty of St Raphael Fern Tree on the slopes of Mount Wellington provide a stunning location. Adjacent to a park and surrounded by temperate rainforest, this swiss style wooden church is a beautiful building seating up to 70 people. The perfect location for an intimate wedding ceremony. To enquire about holding your wedding at All Saints or St. Raphael’s, please contact the Parish Office. Fr. David will be delighted to meet you, and to begin making arrangements for the day. What will our wedding cost? – Design & printing of your wedding order of service. Depending upon the nature of the ceremony, additional costs may be negotiated for a vocal ensemble, professional musical soloists or professional instrumentalist to play with the organ. This will enhance the beauty of your wedding. All weddings conducted at All Saints or St Raphael’s must follow an Anglican Order of Service. Prepare/Enrich is offered as a form of preparation for marriage. It is expected that at least one of the couple will be a baptised member of a Christian Church. Persons who have previously been married are welcome. Marriages are conducted by the clergy of the parish. However, it may be possible for another priest/minister to share in the ceremony.